RALEIGH — Josh Stein, the North Carolina Attorney General, has launched an investigation into Juul, a fast-growing e-cigarette company, but a consumer freedom expert warns the attempted crackdown could backfire. On Oct. 15, the attorney general’s office Oct. 15 sent to Juul a “civil investigative demand” in search of information on its marketing practices, retailers, contact with resellers, efforts to verify age before purchase, and any youth education or awareness programs. The company has until Nov. 14 to comply. Juul controls more than 70 percent of the e-cigarette market in the U.S. The Centers for Disease Control and Prevention report Juul’s sales have risen 641 percent — from 2.2 million devices sold in 2016 to 16.2 million in 2017. Stein’s office also requested information on how many North Carolinians are using Juul. Guy Bentley, director of consumer freedom research at the Reason Foundation, said the federal and state crackdowns on e-cigarettes may be well-intentioned but are largely misinformed. For one, Bentley said, calling e-cigarette use an epidemic isn’t accurate, especially considering how vaping helps people quit smoking combustible cigarettes. It’s important to prevent underage people from buying and using these products, but trying to prevent all users — including people trying to quit cigarettes — from using e-cigarettes goes too far. Stein isn’t alone in his investigation. On Sept. 29, the Food and Drug Administration seized thousands of documents in a surprise inspection of Juul’s headquarters. The FDA has expressed an interest in whether the company is purposefully targeting teenagers. 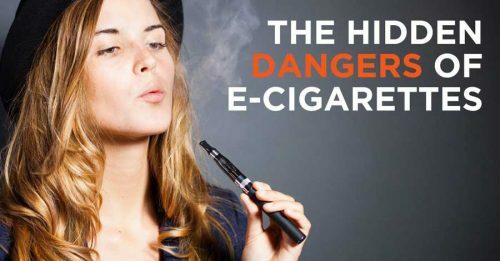 Those concerned about e-cigarette use have argued Juul and other e-cigarette companies are targeting their marketing efforts at minors, and thus attracting them with fruit and dessert flavors. Bentley said it’s impossible to develop an ad campaign appealing to a young-adult smoker that won’t also appeal to an underage smoker. As for the flavors, Bentley said it’s ridiculous to suggest flavors appeal solely to young people. Bentley said it would be unethical for an e-cigarette company to intentionally market to children. It also would be easy for regulatory agencies to catch and to stop. E-cigarette companies, Bentley said, are going after adult smokers, as Juul is competing with big tobacco. “Every action you take to degrade the appeal of e-cigarettes relative to cigarettes obviously just protects the incumbent cigarette market and makes it less attractive for a smoker to switch to vaping,” Bentley said.